Even the impersonalist’s object of destination is Krsna as the impersonal jyoti, and the yogi’s destination of Paramatma is also Krsna. Krsna is both brahmajyoti and localized Paramatma, but in brahmajyoti or Paramatma there is no Krsna or sweet relations with Krsna. 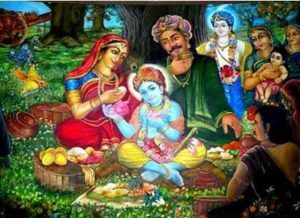 In His personal feature Krsna is both Partha-sarathi and Syamasundara of Vrndavana, but in His impersonal feature He is neither in the brahmajyoti nor in the Paramatma.